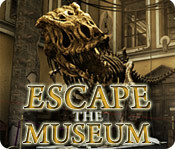 Escape the Museum is rated 2.4 out of 5 by 21. 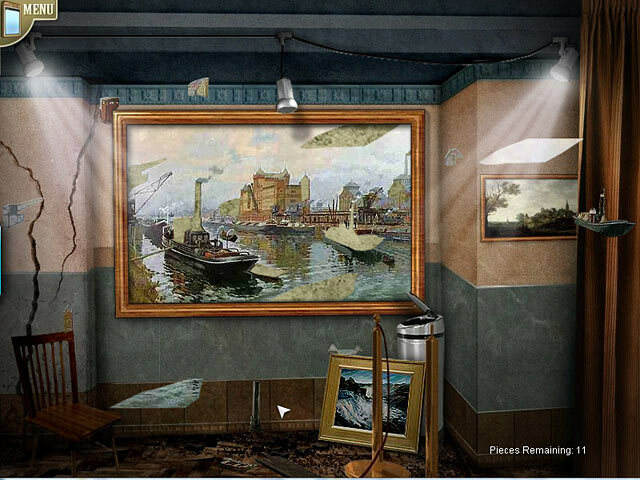 Rated 5 out of 5 by R3DFOX01 from My Most Favorite Hidden Object Game Ever This is my all time favorite. Super Replay-able and a story that really draws you in. The music/ambiance is perfect and I am stuck thinking about it right now. Rated 5 out of 5 by Snowview from Almost a great game This is the first game I didn't finish that I would recommend. First, the things I didn't like: There was no functional hint system except for the HOS. The last three levels of the puzzles (logical mechanical brain teasers) were too difficult and irritating to me with lights going off and needing to be turned on that I didn't finish and waited for the family to be rejoined at the end of Escape the Museum 2. The hidden objects were small and sometimes unrecognizable. But the cursor pulsates on the right objects so you can check this before you click. Now for the things I loved: I really liked the plot of the family working together to be reunited and the museum director/boss wanting the artifacts to be saved. I liked the comic book art in between scenes and loved the characters. They seemed fully human to me. Also I loved the museum itself and the beautiful artifacts from all times and places. As a person who loves history and science and has no interest in fantasy or the occult, this game was a great find for me. There were so many scenes and they took long enough (each level also had an additional HOS attached) that I feel it's well worth the full price even without finishing the game. Rated 4 out of 5 by rosekaufmann from STILL GOOD HOG FUN AFTER ALL THESE (4) YEARS With the Gogii sale, I bought both Escape the Museum ("ETM") games, which were about the only Gogii games I didn't have for some reason. This one is a little harder than ETM 2. Although this game is older, I try to keep the date of production in mind. Just because it's been around, doesn't mean it's not good. For HOG, I'm mostly interested in the adventure and the HOS. Here, you have a sense of urgency - it's not that important to me that there be all types of animation and special effects. The HOS are nice and the mini-games somewhat challenging. Decent graphics and I liked the story. But I wonder which game was first - an earthquake happens in the ETM2, while here it appears the earthquake has already happened. Well, doesn't matter to me one way or the other. I'll just think of it as 2 big earthquakes. Rated 4 out of 5 by fundit2 from Adventure light I've played this multiple times and enjoyed it, but it does require a fair amount of backtracking. There is an earthquake and mother and daughter are separated. 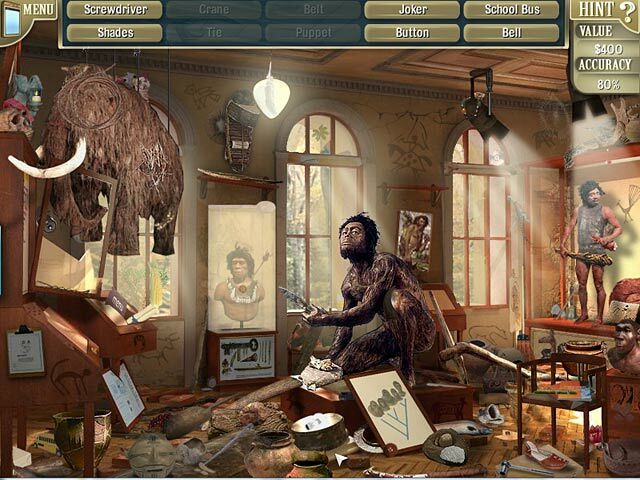 The mother must solve puzzles and find special items in the different exhibits to get to her daughter and get out. You kind of resent the person in charge of the museum who is out in safety and keeps sending you to find things. Most real museums take care of the people first, but the variety of exhibits are interesting and a map lets you know where you still need to work. Rated 3 out of 5 by neilskinut from average game Can be hard. The HOS can be challenging because it is hard to see and find all the items. Lots to do and find. Rated 3 out of 5 by andibeard from Puzzles are fun, but... I enjoyed the puzzle screens in this game--escaping each room and so forth--but the HO screens were very repetitive, which got irritating after a while, and the cut scenes are far too long and dull. The cut-scene graphics are terrible, too (why does the mom look like her hair is wet the whole time??). My kids like this game but they have a higher tolerance for redundancy than I do! It's fine to play once if you don't mind its issues, but definitely not one to return to. Rated 2 out of 5 by pennmom36 from Escape The Museum This would be a decent game if the graphics weren't grainy and dark! To make matters worse, the game has nothing to do with the movie which is what I thought the game was about. Your daughter Caitlin is waiting patiently for you in the security room of the museum so you could investigate the damage done by an earthquake. The quakes become stronger and you have to figure out a way to escape each room of the museum and reach your daughter. 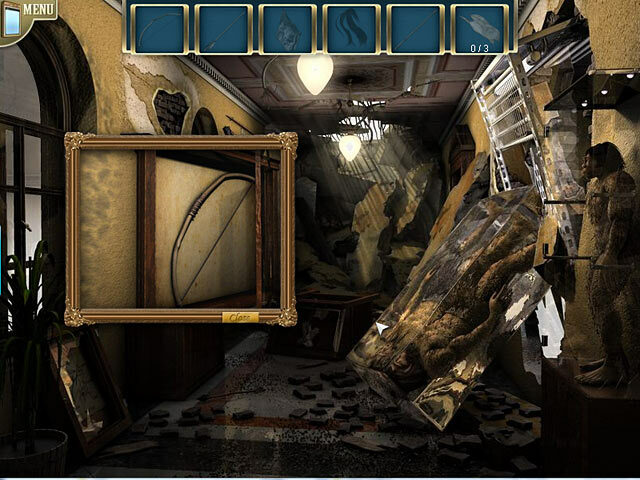 The museum curator, Marcus, has other plans, he wants you to collect specific items of value to keep them safe as you make your way through the debris! Marcus sends you Lists on your phone of the items he wants from each room you clear, which is basically a Hidden Object List Scene. The first thing you must do is figure out how to escape the room, by finding 3 items to accomplish that task and then figure out how and where those items can be used. You can visit any room in any order to complete the HOP, once the room has been escaped from. The scenes are all very grainy, and dark, and the items are so small that it's difficult to figure out what the items actually are! Each item you find is worth specific amounts, and you are scored with accuracy percentages as well. Good concept, but the game becomes frustrating when you can't distinguish one item from the next. Rated 2 out of 5 by Heather_G from Pass this one by. I have to agree with other reviewers that the story is okay, the voiceovers are okay, and the scenery feels like you're in a museum, but this game has such serious problems that I couldn't wait to be done with it. As others mentioned, no hints at all outside of the HOS's so a lot of times you had no clue what to do or where to look for things. The graphics are so grainy that it's nearly impossible to spot anything even if you were looking in exactly the right spot. In the HOS's, items are often colored to blend in exactly with another object, or placed almost entirely out of the screen. The result was you had to click on any blob that might be the right blob, but of course, you get penalized for mis-clicks. Thanks very much for that! Even after using a hint and knowing right where a thing was, many times I still couldn't see it at all, so just blindly clicked in that area until I got it. It might have been a good game years ago, but I found it frustrating, irritating, and drudgery rather than fun. I can't recommend this to anyone.